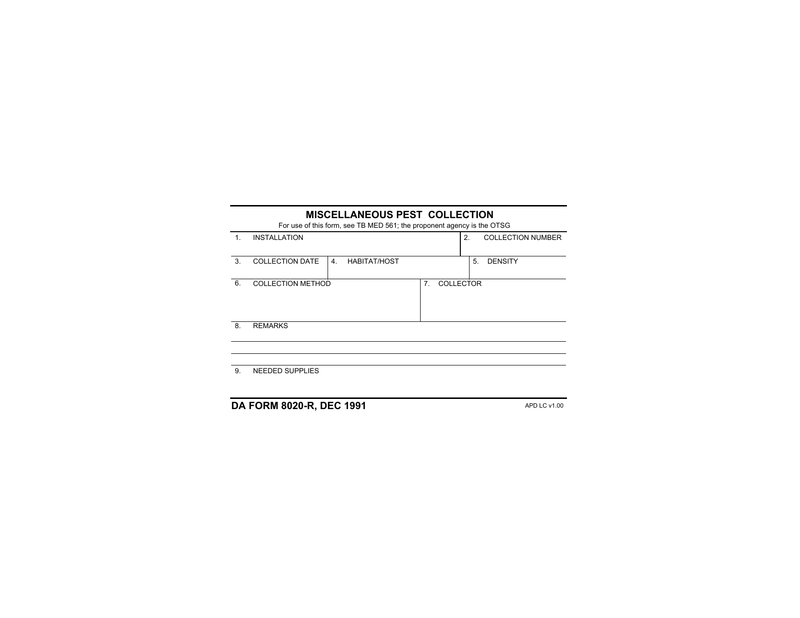 Download DA Form 8020-R, also known as Miscellaneous Pest Collection. This form is part of the United States Army’s pest surveillance program allowing specimens to be collected and tested as sites are visited. This form may be used to record information with regard to any type of specimen. A small list of supplies may also be requested with this form.